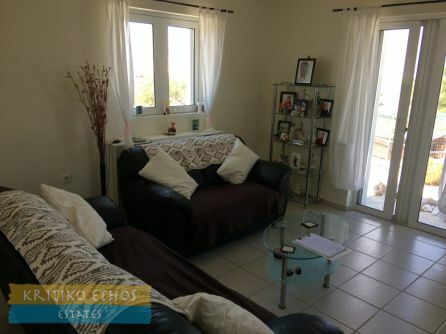 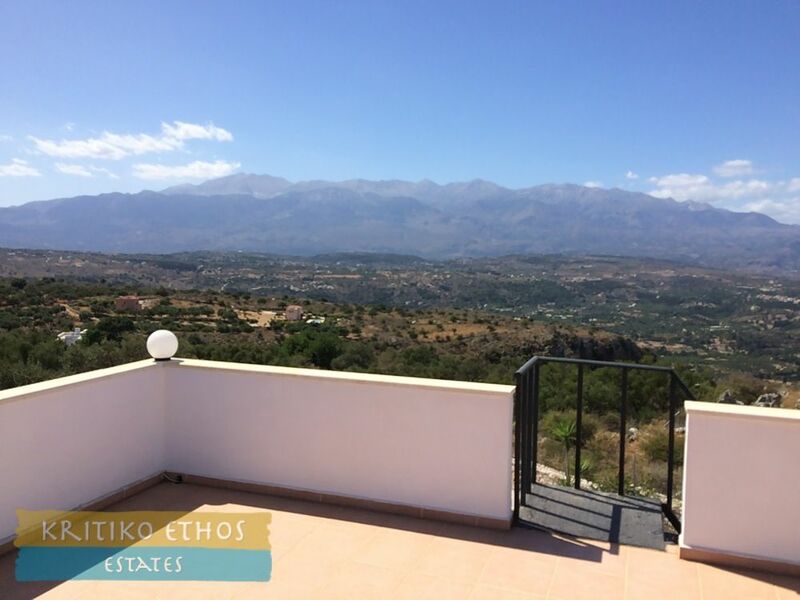 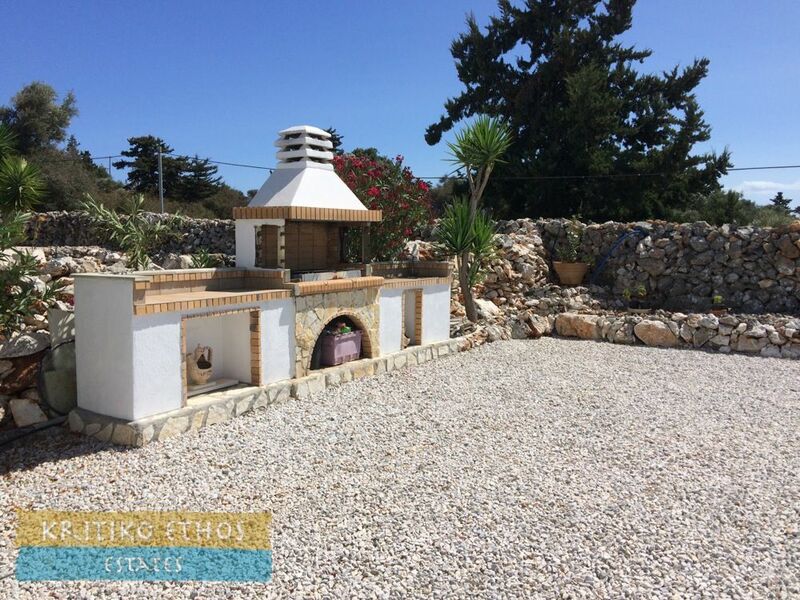 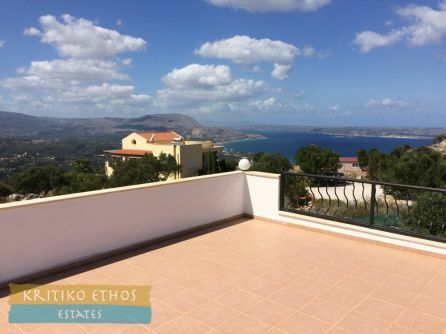 For sale in Drapanos: Great 3-bedroom home with amazing sea and mountain views! 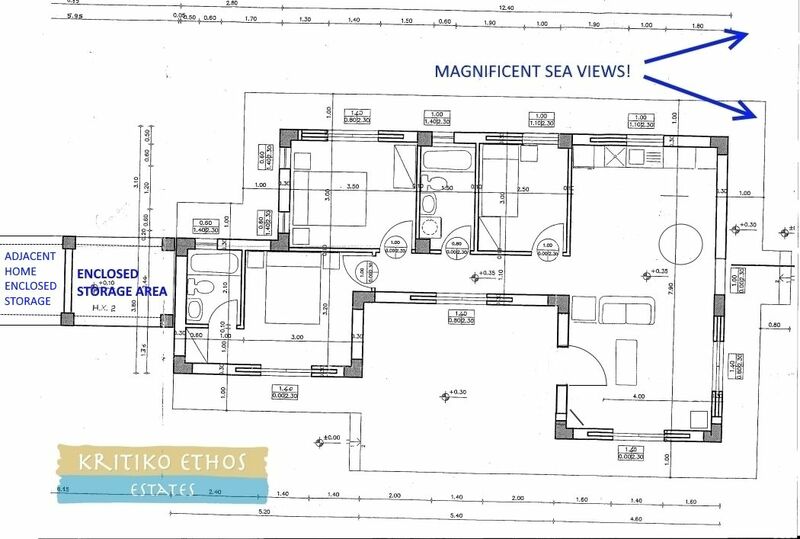 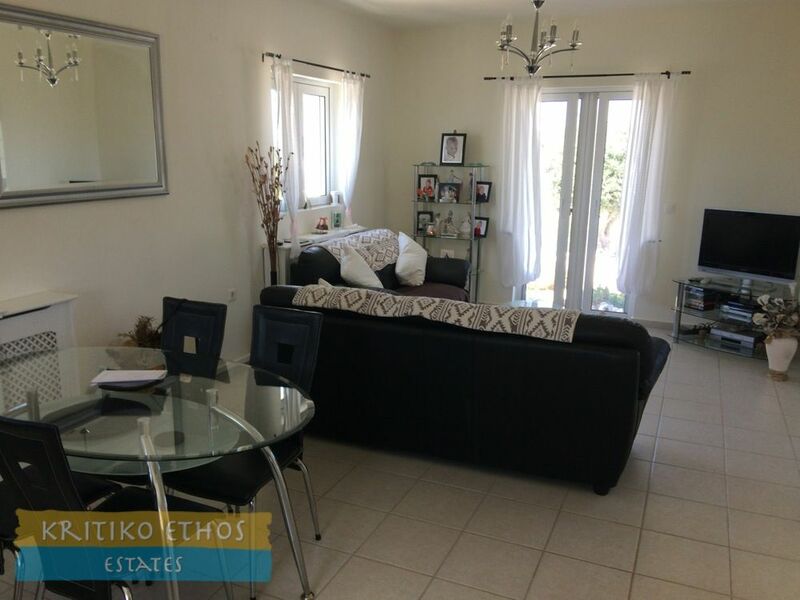 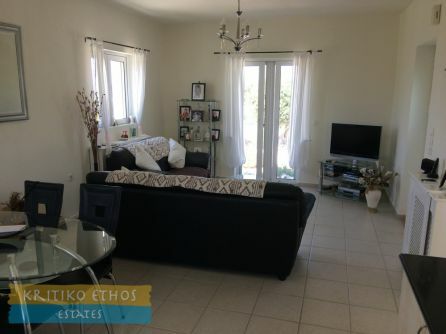 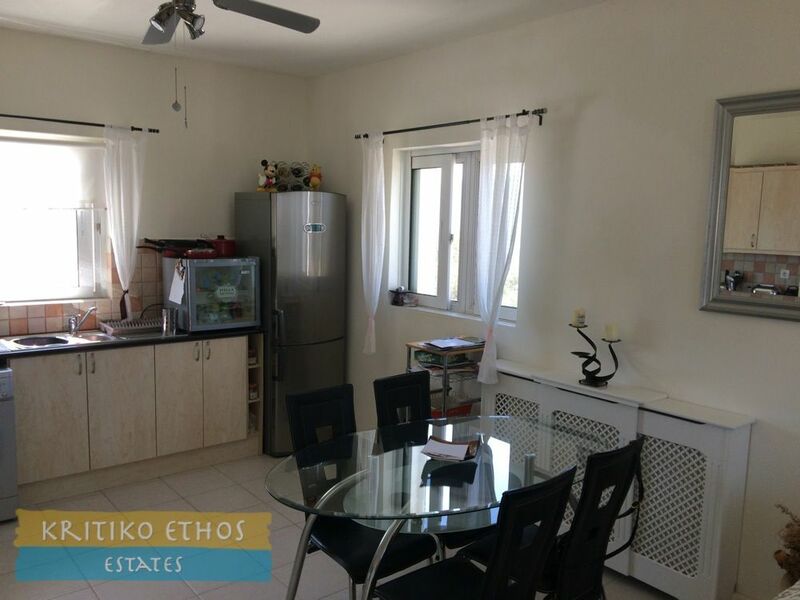 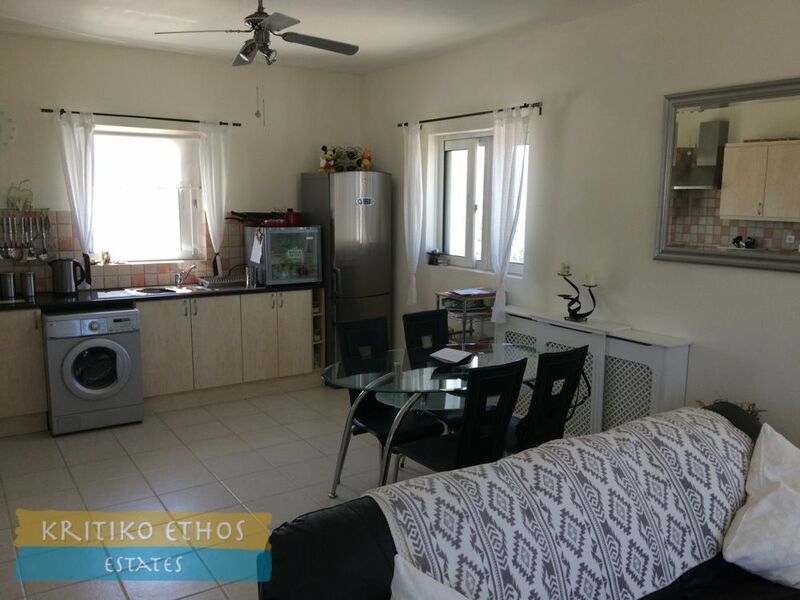 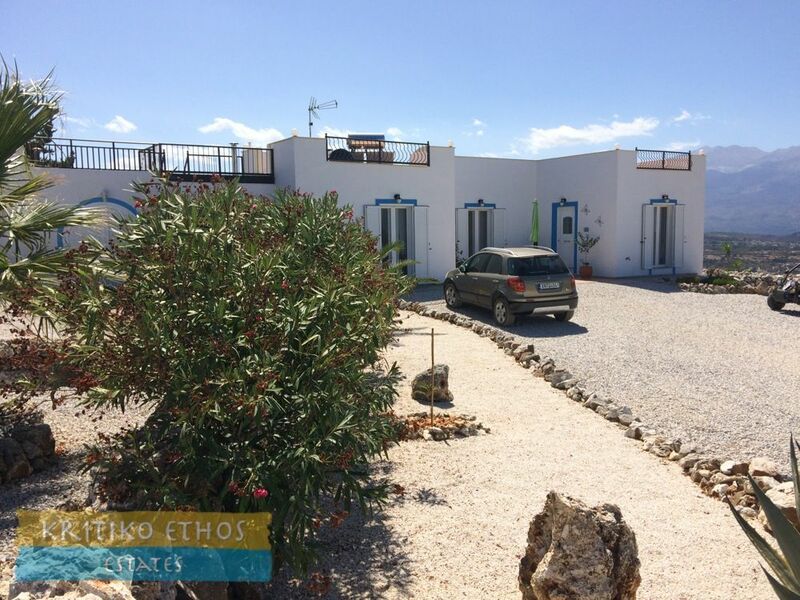 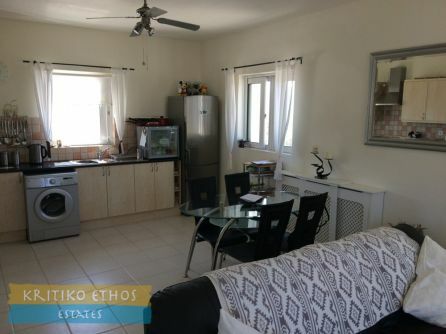 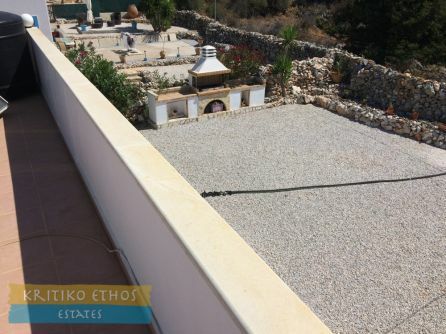 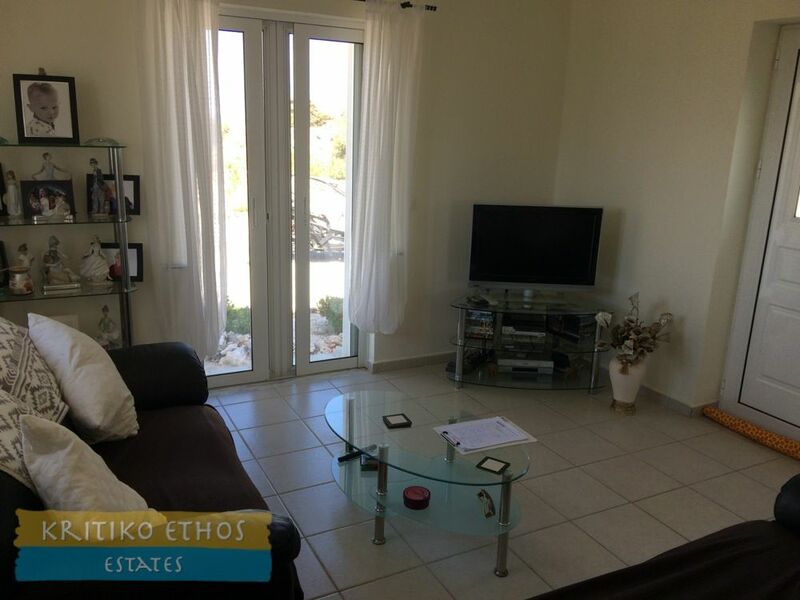 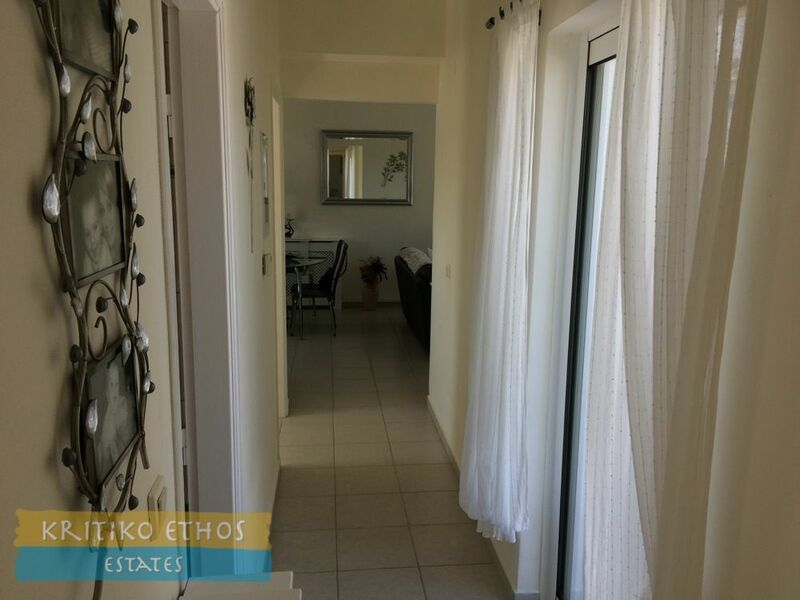 Home > Homes And Villas > For sale in Drapanos: Great 3-bedroom home with amazing sea and mountain views! 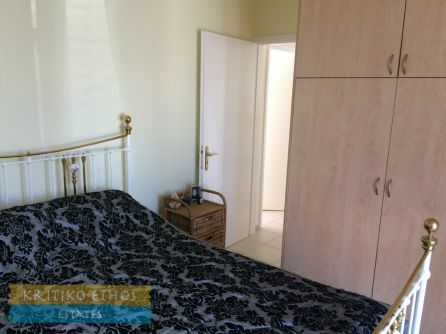 This lovely 94 sqm three-bedroom home, all on one level, is an excellent permanent residence in a superb location! Very easy to maintain, plenty of useful outdoor space, and absolutely fantastic sea and mountain views. 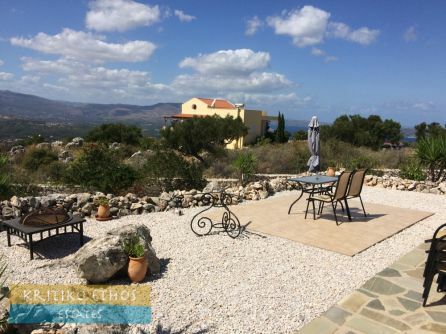 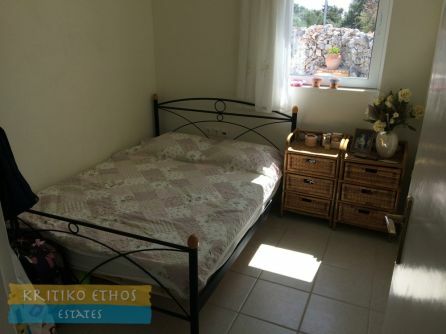 The home is just a few minutes drive from the beautiful swimming and snorkeling coves at Koutalis as well as Ombrosgialos. Entry to the home is via a gated private drive into a large parking area. 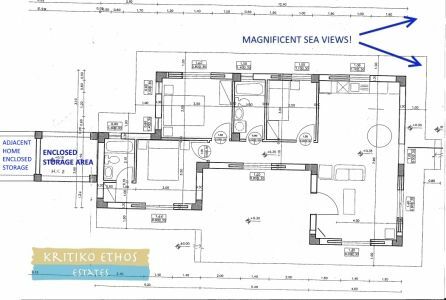 The front door leads directly to the spacious and bright lounge area with sliding glass doors leading to the front terrace. The open plan kitchen and dining area is to the rear of the lounge area. 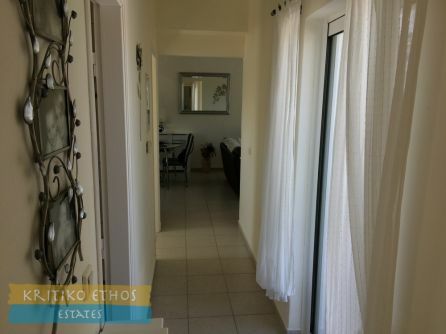 A hallway leads off to the left to the three bedrooms. 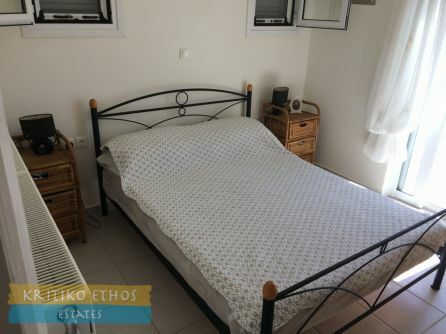 There are two guest bedrooms, one with a single bed and the second with a double bed, large wardrobe, and sliding glass doors leading to the rear terrace. 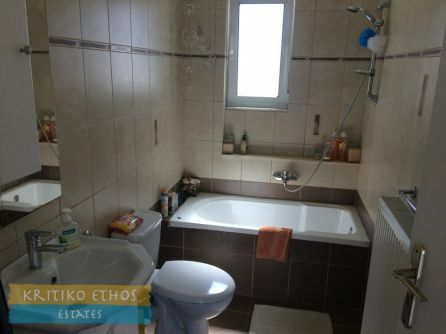 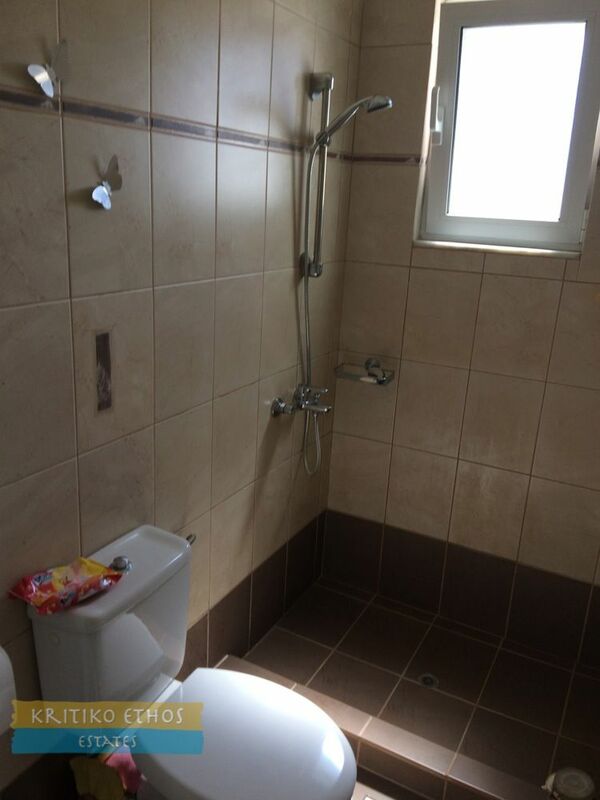 The spacious family bath is also located on this side of the home. 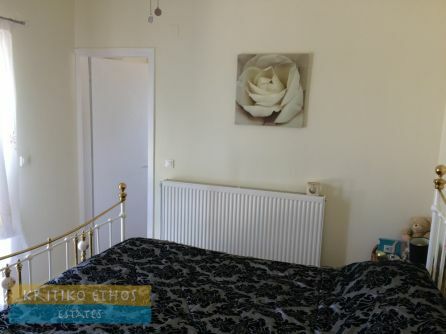 The large master bedroom with its ensuite full bath is at the end of the hallway. 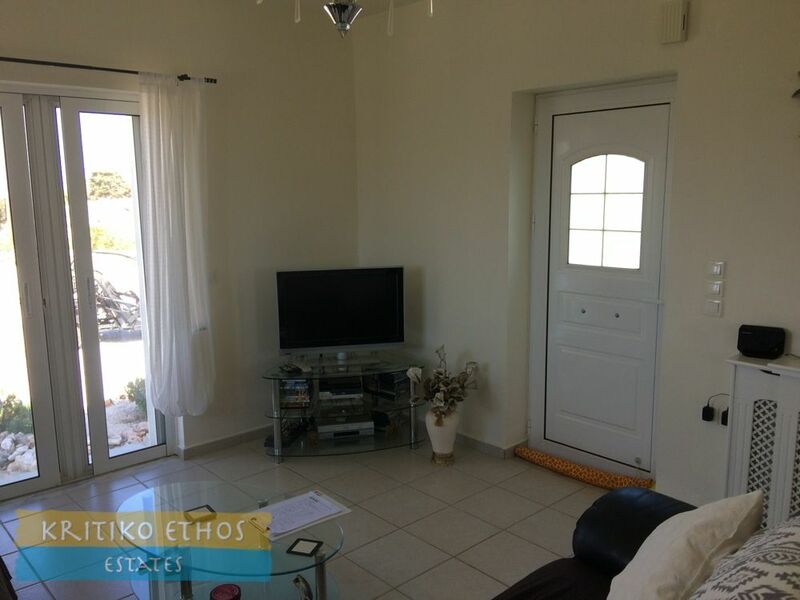 Sliding glass doors from the master bedroom lead to the the front terrace. The fully-tiled rooftop is accessed by a two staircases, one from the side of the home and the second rising from the rear garden over the enclosed storage area. There are simply fabulous and panoramic views from this area!! 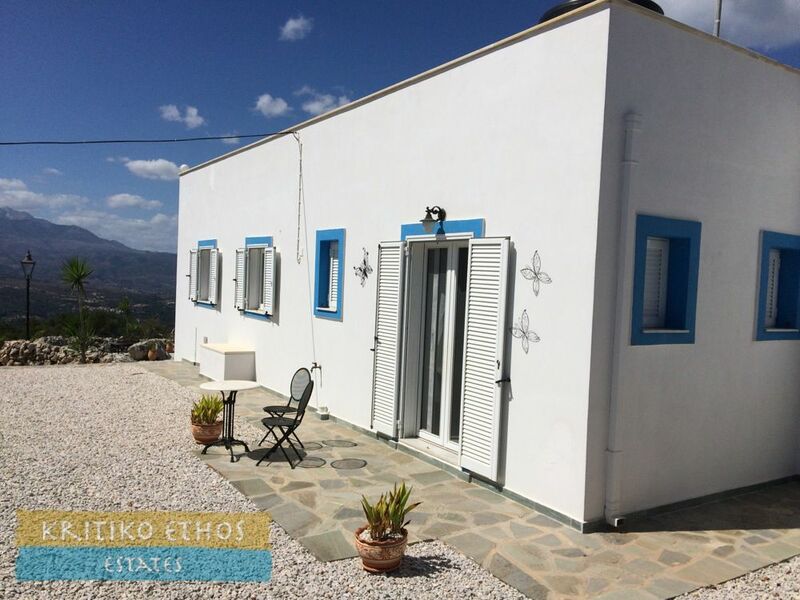 The selling price is exclusive of property transfer tax, legal expenses and agency fees. 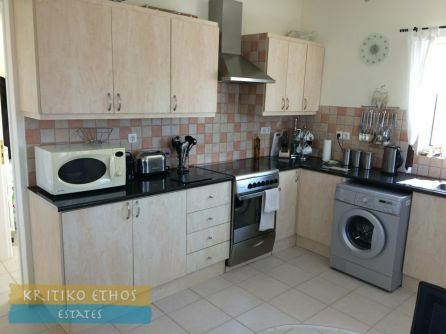 All white goods are included. 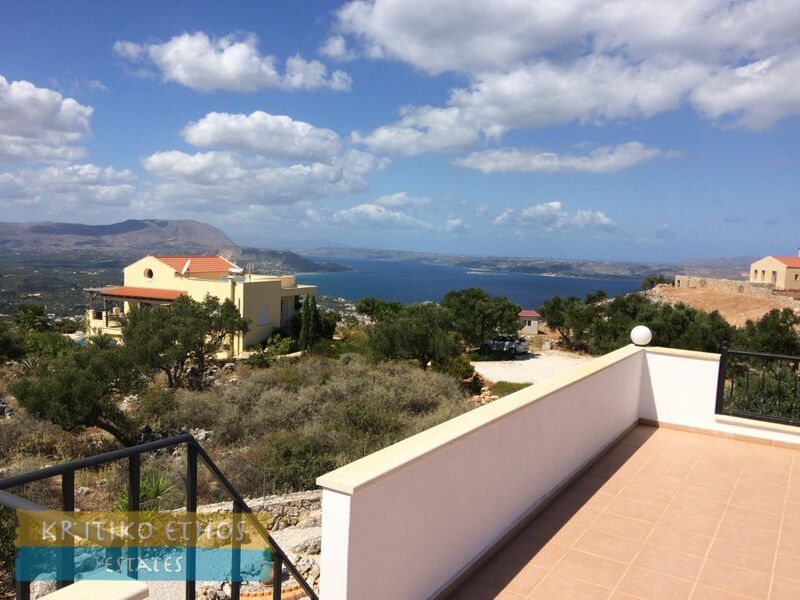 Absolutely fantstic sea and mountain views!